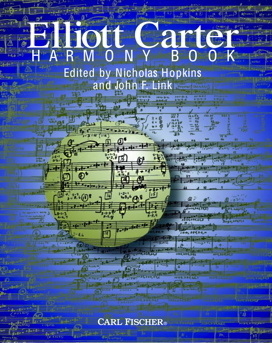 With the publication of this remarkable tome, students of Elliott Carter's music and theorists with an interest in contemporary music, have a detailed guide to understanding the music of a great composer. In addition, Harmony Book is a valuable study of the post-tonal harmonic possibilities within the twelve-note chromatic scale and will be an invaluable resource to serious composers of every style interested in expanding their own harmonic practice. Published by Carl Fischer. Available at Amazon.com.